Temporal Mandibular Joint Disorder (TMJD or formerly TMJ) can have a variety of symptoms including jaw clicking, muscle tightness, joint stiffness, locking, pain, tingling, numbness and others that can have an impact on a person’s quality of life. The presence and intensity of these symptoms can vary significantly between cases. Our goal is give some quick tips about general TMJD management that you can do now! If symptoms persist or are severe, we highly recommend speaking to your Doctor or a Physical Therapist about treatment options. Posture: Pay close attention to your head, neck and back alignment. 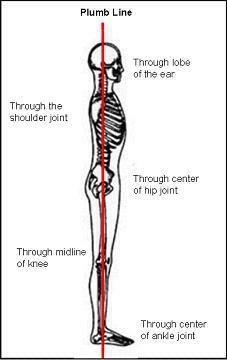 If looking at your posture from the side, you want to make sure that your ears line up with the point of shoulder and the middle of your hip down through your ankles. The body is so interconnected that slight changes in your posture can have minor to significant impacts on strength muscle tone, neurologic and cardiovascular function as well as stiffness and pain. Two of the most common posture issues in the head and neck area are allowing the head to fall forward in a turtle like position and shrugging the shoulders up toward the ears. Both put undue stress on the head, neck, jaw, and spine. Practice good upright postures in both sitting and standing and consider physical therapy if you are unable to maintain the correct postures on your own. The longer you stay in poor posture, the more normal it becomes for our body and therefore sometimes requires intervention to get us back on track. Check & Protect your Eyes: We can sometimes assume less than ideal postures when trying to see our projects, especially while working on the computer or desk surfaces. Vision issues can worsen this as we assume and sustain awkward postures to read and view our work clearly, usually without taking adequate breaks. If you wear glasses and use a computer a lot – consider computer glasses to be worn while working with the computer. Computer glasses are created specifically for the short distance to your monitor. Stick to the 20:20:20 Rule – Every 20 minutes look away from your computer or work for 20 seconds, focus your eyes on an object at a distance of at least 20 feet away. Also remember to protect your eyes from the sun! Constant squinting can strain the muscles in the eyes and face and can increase symptoms. Temperature Regulation: Cool air circulation from vents and windows can cause minute posturing, bracing and muscle tension to the neck back and jaw. You may not even notice you are doing it. Consider wearing light layers to control your comfort level. Scarves are great for drafty areas, and redirecting air conditioning vent airflow with inexpensive hardware solutions can make a significant difference. Sleep Environment: Make sure you have a pillow that allows your head and neck to be in a neutral alignment. Sleeping on your side with a pillow in front for you to rest your arm on can help relieve neck and upper back tension. It is also important to check your bedroom for drafts and cold spots. Be mindful of Teeth Clenching: We can often clench without even knowing it. Consider setting a timer to go off a few times during the day (Great to add to your 20:20:20 reminder) as a reminder to self-reflect on your body’s tension and clenching. If you notice yourself clenching your teeth, gently touch the tip of your tongue to the roof of your mouth to help calm the jaw and as a reminder to not clench. If you find your jaw to be very sore in the mornings, you may be clenching at night. To mitigate night clenching consider a night guard when you sleep. Manage Stress: In the lightning speed world we live in, we have become accustomed to stress as the new normal and we don’t often realize how greatly it can impact our health and our lives. Periodic stress can be good for us. It creates challenges, innovation and discovery. Prolonged stress can have a significant negative impact on our health. Mix it up. Switch projects and tasks periodically to avoid sustained postures. Avoid Chewing Gum: This one can be hard to give up for some people however you may see significant improvements when you stop. The idea is to stress your jaw less and chewing gum is like sending your jaw to the gym to do push-ups for as long as you chew it and then not stretching afterwards. Graze (Eat small meals and healthy snacks throughout the day): It may seem like a funny comment for coping with TMJD however common nutritional advice for healthy eating has merits with jaw health as well. Eating small amounts throughout the day can help keep your jaw well oiled. Think of it this way: You aren’t supposed to sit all day without moving around so why would you let your jaw do the same thing. Avoid really hard or crunchy items like corn nuts. Your teeth will thank you too. Unless your jaw is really painful or stuck, it is not helpful to only eat soft foods either. Consider a balance of soft and medium density foods to give your jaw a natural and gentle workout. Cut your food into small pieces and don’t favor one side of your mouth when you chew. Body awareness is key to managing any muscular skeletal condition. Set yourself reminders. Ask a friend or co-worker to help remind you or alert you if they see you in a bad or sustained posture. These tips are intended to give general information on managing TMJD, but it is not an exhaustive list. We highly recommend speaking to your Doctor or Physical Therapist if you are experiencing symptoms and especially if you have been experiencing pain or other symptoms for a while. [The TMJA Association, Ltd.]. Retrieved from http://www.tmj.org/. 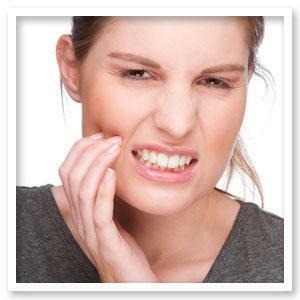 [Disease and Conditions: TMJ Disorders]. Retrieved from http://www.mayoclinic.org/diseases-conditions/tmj/basics/treatment/con-20043566. This article is intended as general health information and is not intended to provide individual specific medical advice, professional diagnosis, opinion, treatment or services to you or any other individual. Please consult your doctor or a medical professional before starting or changing a fitness or nutrition program. We often think of the state of our health come the new year. We Finding YOUR Physical Therapist can be an incredible advantage in your lifelong health. Pilates is an exercise system developed by Joseph Pilates to strengthen muscles, increase flexibility and improve overall health. Exercises are performed on a mat and on specially designed equipment. Why is Pilates so popular and is it right for you? The earliest Yogic texts and mantras are thought to date back anywhere from 2,500-5,000 years ago. About 7 years ago I started experiencing knee pain, but instead of treating it, I changed my workouts. Now that California ski season is finally making an appearance, physical therapists are anticipating the usual increase in orthopedic injuries that come along with it.